Back in April 2000, whilst still working at Salomon Smith Barney as an oilfield service and drilling analyst, I sold my last internet stock – Caprock Communications; which, aside from the Precious Metal miners I held from 2002-2011, turned out to be the last stock I’ve ever owned. At the time, I was too “green” to fully understand the state of the global economy and markets; and frankly, it wasn’t until Alan Greenspan turned on the monetary spigots in January 2001 – taking the Fed Funds rate from 6.5% to 1.0%, where it was held from June 2003 through July 2004 – that I realized something was terribly wrong. When I sold Caprock on that fateful day in early 2000, I turned violently negative on stocks; but simply because I felt they were wildly overvalued, which of course they were. By the time 9/11 occurred a year later, the dollar had already started falling from its all-time high; and less than a year later, in May 2002, I went “all-in” the Precious Metals sector. Although, at the time, it was 100% in the form of mining stocks. People had laughed at, and shunned me for being “bearish” from 2000 through 2002; and didn’t even listen when I told them that gold and silver – then trading at $300/oz and $6/oz, respectively – were heavily undervalued. As the post-tech wreck era passed, and markets recovered care of Greenspan’s psychotic monetary gambit, I became more and more fearful that the simple stock market overvaluation I worried about in prior years was just the tip of the iceberg. More worrisome was the dollar’s perceived “overvaluation” – given the massive debts America was building up, and the significant damage a rising dollar would cause on what was already a dying manufacturing sector. You know, the businesses that support a nation’s growth – providing expanding GDP, high-paying jobs, and corporate price leverage. whilst this was occurring, the ill effects of “Maestro” Greenspan’s monetary easing created an historic real estate bubble, fostered by horribly irresponsible “mortgage easing” by the government itself – highlighted by George Bush’s American Dream Down payment Act of December 2003; and, of course, the wonders of derivatives – such as the proliferation of mortgage-backed bonds, which in turn spawned a generation of historic subprime lending activity (which incredibly, is MUCH worse today). As it turns out I was right about the real estate bubble, too, in spades. However, when the 2008 financial crisis hit, PM mining stocks accounted for the vast majority of my net worth, with just a sprinkling of closed-end bullion funds (which I have since shed as well, having realized 2½ years ago they were barely less risky than mining stocks). And thus, despite being DEAD ON correct in my economic predictions, I was getting slaughtered just like everyone else. The Cartel was hell bent on “proving” PMs were not safe havens; and thus, whilst they “supported” the herd’s instinct to flood into Treasury bonds – taking the benchmark 10-year yield from 4% to 2% in the last four months of 2008, they viciously attacked paper gold and silver, and mining shares even more so – which, I might add, are dramatically lower today than at the 2008 bottom; erasing all of my 2002-07 mining share gains. Thankfully, mining shares were “allowed” to rebound when the Central banks manically re-inflated all markets; as frankly, the last thing they were worried about at the time was suppressing miners. And thus, whilst I never approached the peak of my net worth – achieved circa 2006 or 2007 – I did recoup enough to “remain in the game.” And once 2008 smashed the world – and me – in the face like a lead two-by-four, I realized two very important things. One, that all I had feared in the past was NOTHING compared to the all-out, complete collapse of the global monetary system I knew was coming; and two, that when it arrives, I will no longer have any money in the banking system or financial markets; but instead, my entire net worth in items of real value – such as a debt-free home, and as much physical gold and silver as I could acquire. As the post-2008 era passed, and Central banks not only amped up money printing and asset monetization – both overtly and covertly – to unprecedented levels; but went all-in on 24/7 market manipulation, particularly after their cumulative “point of no return” was reached in 2011, the pain, angst, and misery I endured was of a whole different caliber. Sure, I was theoretically “safer” – in having cashed out my IRAs; converted 90% of my liquid savings to physical gold and silver; and joined one of the nation’s leading bullion dealers as Director of Marketing. However, said “point of no return” tactics have become so intense, not a second goes by that gold and silver are not being either capped or attacked. No one’s “laughing” at me anymore, having lost their shirts in the dotcom bubble and/or housing bust – and frankly, struggling to revive past days of financial glory. 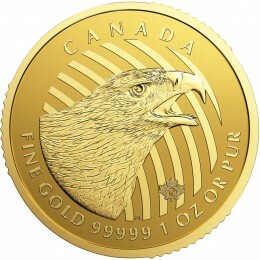 However, a financial establishment that still doesn’t realize its recent gains were entirely due to unprecedented money printing and market manipulation certainly laughed – with everyone from the CNBC’s of the world to PM newsletter writers piling on with bearish PM commentary despite the reasons for owning gold and silver being much more dramatically so. Not to mention, record high demand – and record low, rapidly vanishing inventories. And of course, the fact that my ability to earn a living was being put in jeopardy; as ironically, despite said record PM demand, it was essentially all emanating from the Eastern Hemisphere. Still, with each passing day, I have become more and more comfortable in my views; not just believing, but knowing the end game of global economic and currency collapse was mathematically certain. And not in “a few years,” but very, very soon. To that end, in my pursuit of not only “protecting my investment”; but helping others to do so as well (which I had been doing since my first of hundreds of FREE missives on the GATA website circa 2004); I have not taken a day off in more than two years, working 24/7 compiling data, analyzing it, and communicating it to the public. Which, thanks to the fantastic, global platform the Miles Franklin Blog provides, has made a significant impact. To wit, in the worst of times over the past few years, I’ve received essentially zero negative feedback; and now that “the big one” has clearly arrived, I believe my work – as well as David Schectman’s, of course – is being validated in spades. Which is why, with the world amidst its unequivocally worst economic condition since the Great Depression; its most threatening social and geopolitical environment since World War II; and by far, its most debt-ridden, broadly insolvent financial situation ever, we are about to experience something so financially and economically horrible, it will make 2008 appear to be the “good old days,” on all imaginable levels. Last month, I wrote the “only difference between late 2008 and today” was maniacally PPT-supported stock markets – particularly ones of “national security” importance like the “Dow Jones Propaganda Average.” And now that this “seal has been broken,” we have clearly regressed back to the hell that was 2008. Of course, we’re still in the early stages; and care of the aforementioned political, economic, financial, and social horrors, I believe this time will not only be “much, much worse” – but entirely irreversible. That is, until the entire global fiat monetary system collapses, and all the world’s unpayable debt repudiated. As I finish writing, the U.S. markets are minutes from opening on Monday morning. The global carnage thus far has been horrific – starting with an 8.5% plunge in the Shanghai Exchange; to the all-out collapse of nearly all currencies (except ironically, the Euro and Yen, which are exploding higher against the dollar, prompting guaranteed QE explosions as the “final currency war” I warned of nearly three years ago turns nuclear); freefalling commodities – including sub-$39 WTI oil; a 10-year Treasury yield well below 2%; and Dow futures down 650 points, atop last week’s 1,100 point plunge. As on Thursday and Friday, the only asset class up on the day is gold (albeit, amidst massive Cartel paper capping); whilst silver is, just like in 2008, being attacked by the same paper algorithms the Cartel used then to prevent its inherent tightness from being exposed. Which irrespective, it ultimately was. And HOLY COW, NASDAQ FUTURES WERE JUST HALTED, AFTER HITTING THEIR 5% LIMIT DOWN CIRCUIT BREAKER! Of course, in the Precious Metals realm, the biggest difference between 2008 and today is that supply is dramatically tighter, whilst demand is dramatically higher and inventories dramatically diminished. 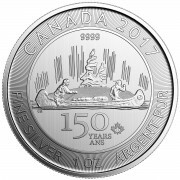 To wit, when every major mint in the world sold out of physical silver in late 2008 – for months on end, yielding physical premiums (over the fraudulent, Cartel suppressed paper market) of nearly 100% – U.S. Mint silver Eagle demand, and Royal Canadian Mint silver Maple Leaf demand, was less than half what it is today. Let alone, Chinese and Indian PM demand; in gold’s case, expected to be more than the entirety of global production this year, just as demand starts to really explode (as the “big one” commences) – and supply starts to really plummet (as years of price suppression have destroyed the PM mining industry, and historic industrial oversupply guarantees many of the base metal mines (that produce silver as byproduct) are shut down. In other words, I could not be more comfortable with my position of holding only my home; my physical gold and silver (at Miles Franklin’s Brink’s facility in Montreal); a small amount of cash (held in a non-marginable Charles Schwab brokerage accounts), and my personal possessions. There is not a doubt the “Big One” has arrived; or that mathematically, it not only must be much, much worse than 2008, but cannot be reversed until the entire global economy collapses – as well as the historic fiat Ponzi scheme that supports it. Hopefully, you have already protected yourself – not just monetarily, but in all conceivable aspects. And if not, WHAT ON EARTH ARE YOU WAITING FOR? To wit, if physical silver supply (IGNORE THE PAPER PRICE) was a “1.5 or 2.0 out of ten” two weeks ago; what do you think it will be now that the BIG ONE has arrived? To that end, particularly amidst the historically illiquid condition of today’s financial markets, we encourage you to do your due diligence before selecting a bullion dealer to work with. 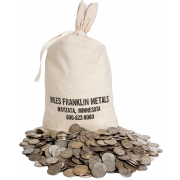 As discussed in the MUST HEAR podcast I taped with Miles Franklin’s President and co-founder, Andy Schectman, last month, never has it been more imperative to “choose wisely.” And to that end, we hope that if you are interested in buying, selling, or storing Precious Metals, you’ll give us a call at 800-822-8080, and give us a chance to earn your business. I am sorry I was one of those who has doubted your writings and even wrote on this site rubbishing what you said….. However I realize how wrong/stupid I have been and can now see for myself the truths you have been writing about for a long period of time! I must have been truly demented. Thank you for your honest truths! Mother Nature WILL WIN OUT HERE. In the coming weeks and months remaining in 2015 the world will understand why sound money must always be the basis of society. Time to prepare is getting short. Volatility is just beginning to show itself. The PPT seems to have fired up their defibrillator and shot life back into the market. It is no longer flatlined. The question is if they can keep this going forever, then why worry about it? I agree that mathematically it has to implode, but at what point does the PPT strategy no longer work? At least more and more people are waking up. Happy to say that most of the members of the small team in my office are buying silver and get the big picture. When the PPT raise the DOW 600 points to stop its decline is this not already QE? This must have cost them multiple billions just for this one index, let alone APPL and all the other indexes, where does that money come from? I presume the Fed? When you talk about the Yellen reversal which I’m sure is not far off, must we not take into account how much stimulus they have already created in the last 7 days and add that to what ever Micky mouse figure the Fed comes up with to get a true idea of how bad this really is? QE only refers to official programs, not the relentless covert manipulation that goes on all day. John ntine, they will announce qe4. I remember the 1st time I heard one of your critiques of the gov numbers. It was apparent I had discovered something special. Yes, I was correct. Your material never disappoints. Wow look at today’s action! If someone can’t see the manipulation, then they should change their name to Stevie Wonder. I just heard that Jack Lew had an unplanned meeting at the White House with Obama at around 1:00 pm. Wonder what was said there ??? Up down, then up and down again !!! If any one believes that a normal market behaves like this, they deserve to lose their wealth !!! 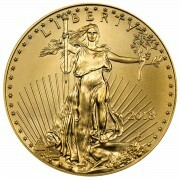 No gold or silver, then you are to be very, very poor SOON !!! I heard so much BS today on Business channel that I thought I was watching a science fiction movie. The time clock has begun to tic down. Andy, I’m listening and I’m passing on your info. Great. Spread the word! It helps! If you’re looking for a sign from God– THIS IS IT! It is very comforting reading your articles each day knowing we have you looking out for us. You put all the events of the day in wonderful order & tell us what’s around the bend. I took cover in 2002 & have been adding blankets over the years…It’s been a long haul & now It’s going to Wild!! Andy, I’m sure you don’t want to claim your precious metals are buried in your backyard for security reasons, but how can you feel your hard-earned assets are safe and secure in a vault in another while at the same time telling us that we are facing financial armageddon? 1. Your metal has to cross a national border to get back to you. When everything collapses, no telling how difficult it might be to import your assets without the Feds taking a cut — “for the children” of course. 2. If things crash as hard as you imagine, there will be no Brink’s left either. What will prevent some enterprising young men employed at that vault in Montreal from liberating your metal as they head out the door on its last day of operations? 3. When is T minus 1? You know…T is the time when everything goes permanently bad. When is it one day, one week, one month before it crashes. When will it be the time to bring everything home where you can use it to save your family. Lest you misunderstand, I’ve been reading your articles for a while. (Bill Holter’s as well.) I agree with your prognosis, but can’t find any comfort in a foreign vault. For the vast majority of people, I have always said keeping it at home is the best choice. However, not for everyone – and certainly not “high profile owners” like myself! That said, one must weigh all relevant factors, and make a choice. I believe Canada is the safest jurisdiction I could imagine for this sort of thing; and given all the other factors that make our program so great, it was the logical choice for ME. And again, if you are talking about a world where the Canadian government is interested in Miles Franklin’s tiny stash at a non-bank security vault , what kind of world are we in anyway? Andy, I listened to your interview with Sean SGT from earlier Monday. No margin call yet as Bill Holter was wondering, guessing the Shemitah is on its September schedule and not here yet. Anyhow, listening to your interview even I started having my veins in the forehead bulging. I can’t believe I’m living in times as ridiculous as today. It’s probably analogous to when crumbling Roman Republic was being led to the gallows of Punic wars, shouting hollow slogans of “Carthage must be destroyed”! Trust me, there have been PLENTY of margin calls – which is probably why so many markets (including China again last night) are crashing. And there will be many, many more. Watching AUD gold. What a polava! The word desperation comes to mind. Andy, enjoy as always your views and opinions, It seems to me to be a matter of common sense. What do people not understand about the difference between currency and sound money? To me it is so obvious. It`s just such a shame that when this all plays out, the average Joe public will not have a clue who the criminals are. I’m simply amazed how many of the so called analysts have come to the defense and have made excuses China’s decisions when they are NO different than the Western government, banking and financial cabals. We are seeing the same game being played out across the world from East to West. The Chinese are NO different than the West and in fact have just piled on to what the West have done. When this is all over and it will NOT end well, we will need an ENTIRELY new money system and especially the way it works. If the Western or Eastern money changers spew out a gold backed world currency along with some type of fractional reserve banking system or infinite economic growth mantra you’ll see the same results again and again. Throughout history every gold backed currency has switched to fiat currency and every fiat currency has become worthless. So I don’t put a lot of faith that the Chinese we’ll get it right or save the world.